When Japan went to war against the United States in 1941, its chances of winning were slim, indeed. But it is worth asking what steps Japan might have taken, or what mistakes it might have avoided, to increase the likelihood of greater success and possibly even victory. Without dwelling on specific battles or on mistakes such as conducting Banzai charges against machine guns or fueling planes on the decks of aircraft carriers, we can identify a series of strategic errors that led to less success and ensured more rapid defeat. Before the war, Japan invested heavily in large battleships and cruisers instead of submarine and anti-submarine warfare. Other countries made the same mistake, but Japan had no margin for error. If we assume that conquering Manchuria made sense, Japan erred by then trying to conquer ever greater pieces of China with massive inputs of men and materiel, incurring substantial losses without achieving victory even as it antagonized the United States. Japan failed to follow up immediately on its Pearl Harbor attack by conquering the Hawaiian Islands, which could have enabled it to disrupt the Panama Canal and set up bases on the west coast of South America and in the South Pacific to isolate Australia and New Zealand. An essential step would have been to sink one or both of the two U.S. aircraft carriers in the central Pacific, which was well within Japan’s capabilities. Japan failed to follow up on its victories at Colombo and Trincomalee to destroy the British fleet in the Indian Ocean. This would have permitted it to blockade India, cut off supplies to the Chinese Nationalists, cut off Australia and New Zealand from the west, block the Red Sea route to British Egypt, block supply to the Soviet Union via Iran, and destroy or appropriate British oil assets in the Gulf. True, the Japanese fleet was worn down after a long cruise, but it could have sent its damaged ships back to Japan while pressing on against a fleeing enemy. Such body blows against British imperial assets would have significantly aided Germany. Even though Nazi Germany was uncooperative, arrogant, and racist, Japan had no choice but to do everything possible to help it win the war because a German defeat would doom the Japanese. When the Germans attacked the Soviet Union in 1941 (without alerting the Japanese), Japan could have shifted a million or more soldiers from China and elsewhere to conquer the Soviet Far East and ever larger portions of Siberia, thus dividing the Soviet war effort and shutting off war production from Siberia. Such an attack would have yielded only modest direct benefits to Japan; but it could have contributed to a German victory over the Soviets, which would have been of inestimable benefit to the Japanese. Instead of using Japanese or local civilian administrators, Japan let its army administer the conquered countries. The army imposed harsh martial law and disrupted trade, alienating many potential contributors to the Japanese war effort. The Japanese failed to perceive and counteract the great U.S. superiority in intelligence, leading to disasters at Midway and other battles. With the unfair benefit of hindsight, we can see that Japan should have focused above all on finding ways to help Nazi Germany win, however unlovable and uncooperative the Germans were. 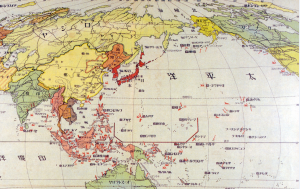 Pushing the Americans back to their west coast, dominating the Indian Ocean, and conquering much of Siberia were arguably within Japan’s grasp and would have significantly aided the German war effort. Still, even if German and Japanese attacks had knocked the Soviet Union out of the war, the Axis powers would need to attack the mighty United States and keep it from developing nuclear weapons, two very demanding tasks. Be that as it may, bold and insightful thinking could have made a Japanese victory much more conceivable. Of course, the realities of army-navy disputes, cultural insularity, and the fog of war made such thinking very hard to do, and acting on it even harder. Kenneth J. Dillon is an historian who writes on history, science, and medicine. For further analyses of ancient and modern history, see his The Knowable Past (Washington, D.C.: Scientia Press, 2018).